There’s plenty of parking outside and the store is wheelchair-friendly and offers a kids’ area too. We’re a helpful, friendly group who enjoy helping all of our customers with enquiries of all sorts. We serve both homeowners and tradespeople here, and get on really well with all of our many regulars. People come to us not just for the wide range of paints, wallpapers and decorating must-haves, but for our technical product knowledge and great service. 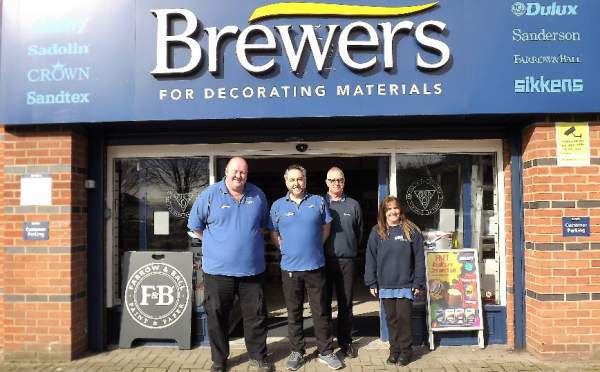 Winchester Brewers Decorator Centre is conveniently located on the Andover Road Retail Park, not far from Winchester train station. We’re only a few minutes’ drive from junction 9 of the M3. 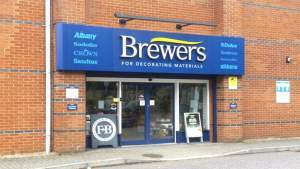 You can see the Brewers flag from Andover Road (the B3420), a hundred yards or so from the Esso garage as you head out of town. Travelling south on the B3420 Andover Road, the Andover Road Retail Park is on the right. Head north-west on City Rd/B3330 towards Andover Rd/B3420. Turn right onto Andover Rd/B3420. The store will be on the left. Head north on Sussex St/B3420 towards Station Hill. Continue to follow B3420. The store will be on the left.